Cohousing - a new model to help build communities? With the arrival of our new class of professional "build to rent" landlords, planners are being asked to review how we live in urban communities in Ireland. The new REITS and Kennedy Wilson are bringing a new kind of lifestyle product to the market and it is being very well received. The new developments, with communal spaces, overnight rooms, games rooms and even art galleries are all helping to challenge Irish perceptions of apartment living. The developments attract premium rent levels here and that is where the challenges lies. In the UK they are already getting into this model for the sale of new apartments and houses. 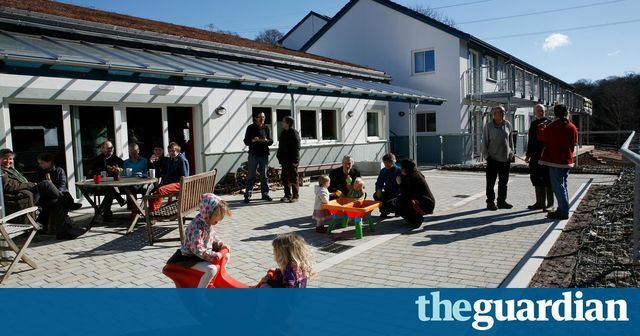 This article highlights the trend in the UK towards a new concept of "cohousing" where communal living is brought to a new level again. Communal cooking and eating facilities? Cook outs? It all sounds a little utopian to me but the Urban Land Institute have just produced their guide to the Build to Rent sector in the UK and this trend is set to grow and grow. It will set us new drafting challenges in our estate documents and long leases but a very exciting opportunity to get creative with the documents. Management Companies will have to be better run and managed. Now how do I draft a right to cook sausages once per month for 12 random neighbours....? Cohousing offers a solution to these problems, and interest in the neighbourly, supportive lifestyle it brings is growing strongly. Distinct from communes, cohousing usually includes private individual or family homes that are either owned or rented. They are clustered around spaces and facilities that are collectively used, with communities often cooking and eating together several times a week. While ideologies and practices can vary widely between groups, they have a common interest in sharing, managing and participating in the development and everyday maintenance of their communities.